As a kid, my favorite room in the house was our family room. It was large enough to have a full complement of furniture, an upright piano, a huge television, and a brick fireplace. As an adult, finding a house that has the same kind of brick fireplace like the one in my parents’ house has been daunting. Enter the electric fireplace! Nothing enhances your space like an electric fireplace. Whether you go with a traditional mantel fireplace, a modern entertainment center or the popular gel option, an electric fireplace is an easy way to make any room warm and inviting. Plus, with these units, there is no need for a chimney or venting of any kind. As with most home purchases, customers often ask some of the same questions, so I will try my best to address those. 1. 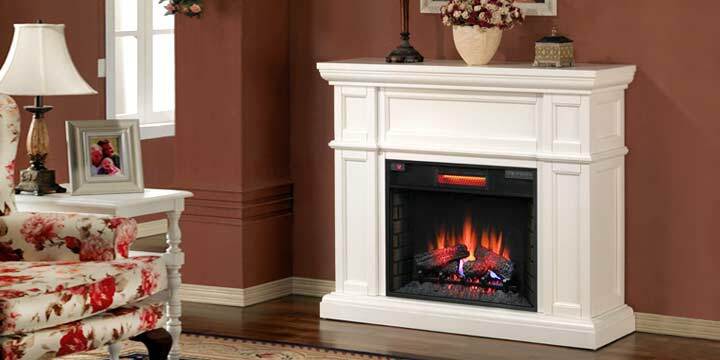 Is A Gel Fireplace or Electric Fireplace Better? This basically comes down to personal preference. But, before you can decide which one you want, you should understand the basic differences. 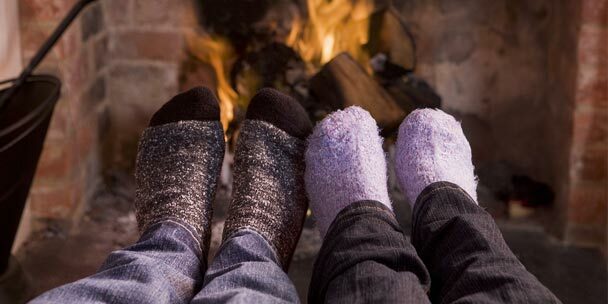 Electric: Like any electronic device, this type of fireplace needs to be plugged in (you’d be surprised how many people don’t know that), and most come with a blower that provides heat. 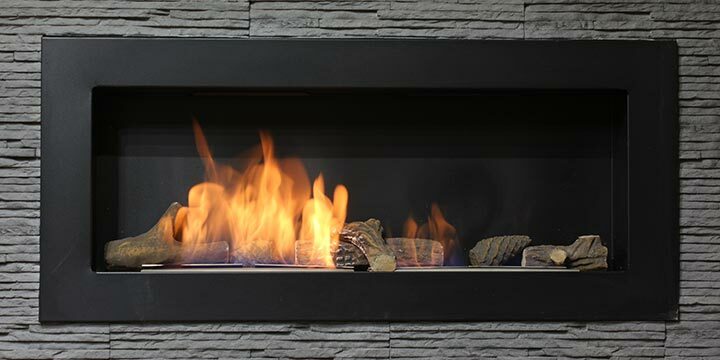 Gel: Allowing you to unplug, this type of fireplace uses gel cans or bottles to produce a smokeless flame. Generally, they do not provide a lot of heat, and are used mainly for ambiance. Also, gel fireplaces tend to be less expensive initially, however, you will need to buy more cans of gel in order to use the heater. 2. How large of an area will an electric fireplace heat? Everyone buying an electric fireplace asks this question. 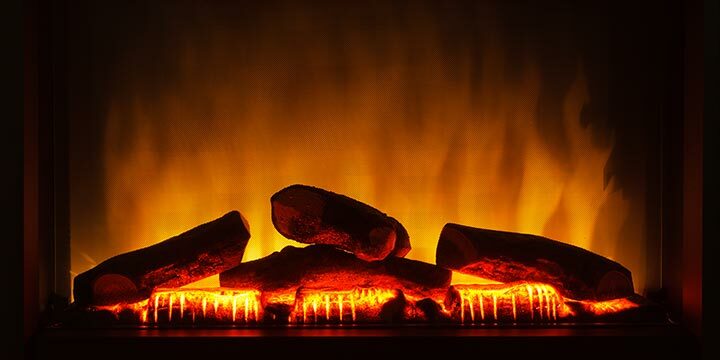 Generally, an electric fireplace will heat up to 400 square feet. Of course there are few models that will do more and a few that will do less, but 400 square feet is a safe overall bet. Even the electric stoves will cover up to 400 square feet. Most give off about 5,000 BTU’s of heat. Also, you have the option to have the heat on or off, so if you just want the flames going, you can do that. Additionally, you can just have the heat on and not the flame. One more thing on heat. The glass on an electric fireplace is cool to the touch, since most of them have a separate area where the heat is coming from. So, you can touch the glass and not worry about burning yourself. 3. Can I place a TV on top of a mantel fireplace? This is a fantastic question! For the most part, yes, you can place a television on a mantel fireplace. 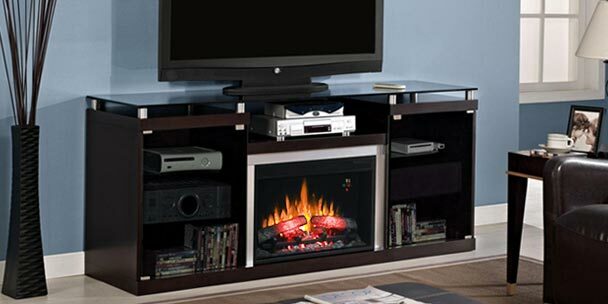 This is a great option in family rooms, especially if you get a corner mantel fireplace. Just be sure to pay attention to the dimensions of the mantel, and the weight of the television. Most flat screens will go on a mantel with no problem. You just want to try keep the weight below 125 pounds. 4. Really? A wall mounted fireplace? YES! 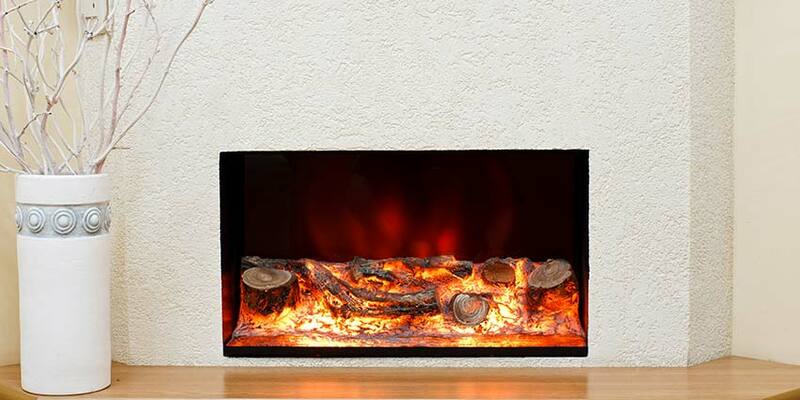 A wall mounted electric fireplace! To me, this is one the coolest things EVER! You basically hang it on the wall like a picture. You can get them with a variety of backgrounds, though my personal favorite has a black background with sandstone pebbles on the bottom. There are also models that allow you to change the color of the flame. Most of them require you to hard wire it so there is no wire or plug showing. And, like a traditional electric fireplace, they will heat a room. So, you get comfort and style all in one. And, they come with a remote, so you can operate it from across the room. Trust me, you get one of these and you are no longer trying to keep up with the Jones’. You will officially BE the Jones’. 5. What if I have an existing fireplace? The answer is simple! You just get an insert. You can get either an electric or gel insert. The inserts work just like the full mantels. The electric ones will provide heat; the gel ones need to have the gel replaced. The thing you have to be certain of is the dimensions of your opening and the dimensions of your insert. Generally, you want to get an insert that is about 1 inch less in width than your opening. That just leaves you a little room to play with. And, you can get a trim kit to fill out the rest, so you will be set. My mom ordered a gel fireplace accidentally…she meant to order an electric, can we change out just the insert? I’m not having much luck finding anything. We have an existing fireplace and need to know how close to top of the opening can the insert be? Can it be flush against the top (touching insulation board) or should there be a space left between the insert and the foam board to allow the heater and fan to work efficiently? If a space is reccomended, how much? Would 1″ be enough?